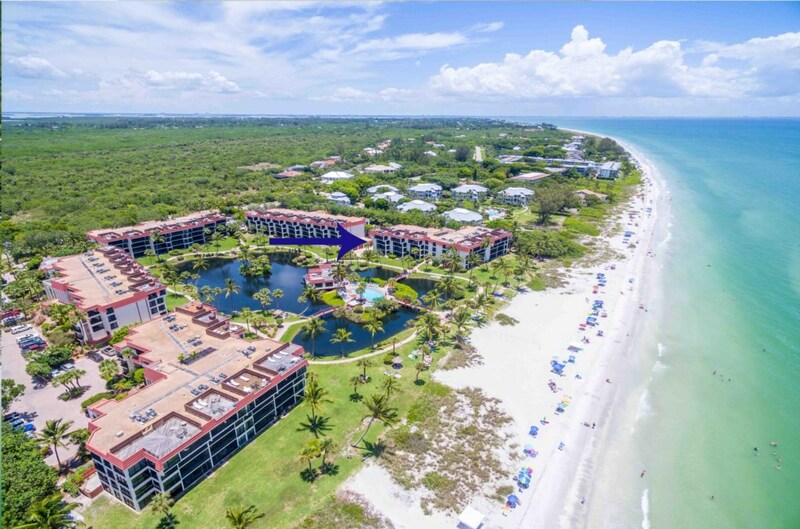 Amazing views of the Gulf of Mexico, the beach, the beautiful grounds and lagoon of Pointe Santo. 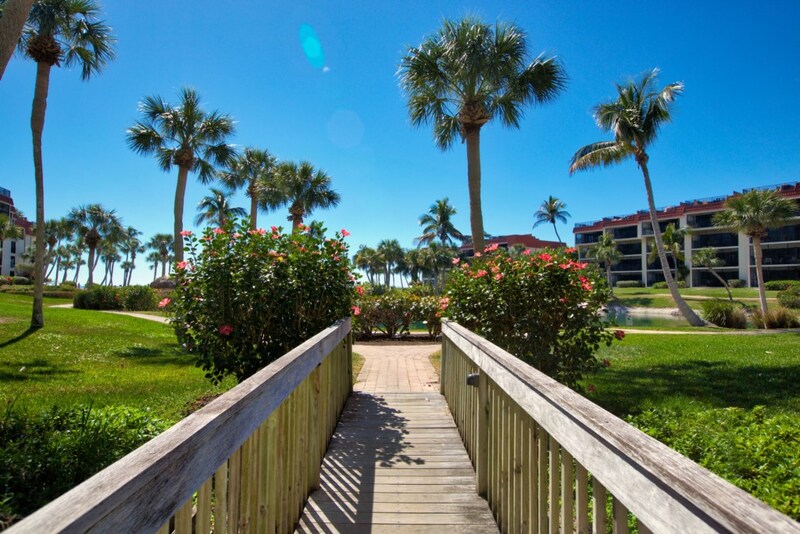 Spacious, bright updated two bedroom two bathroom Gulf front condo! 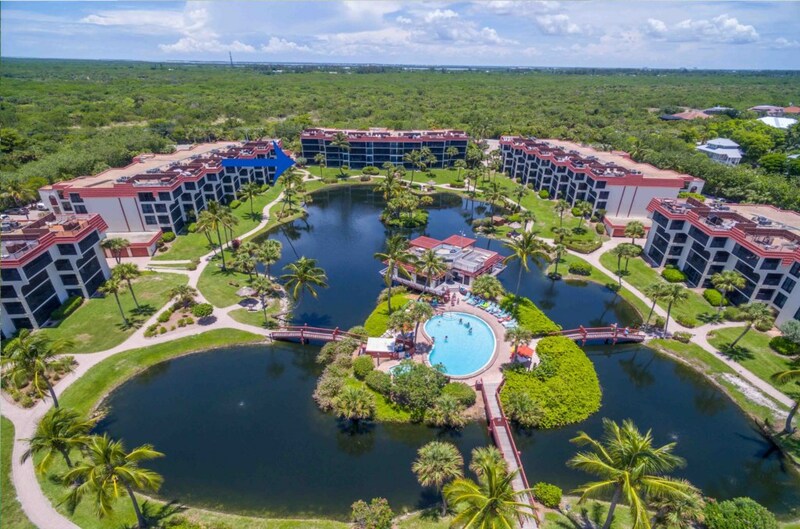 This bright and clean condo at Pointe Santo has everything you need for a spectacular beach vacation. 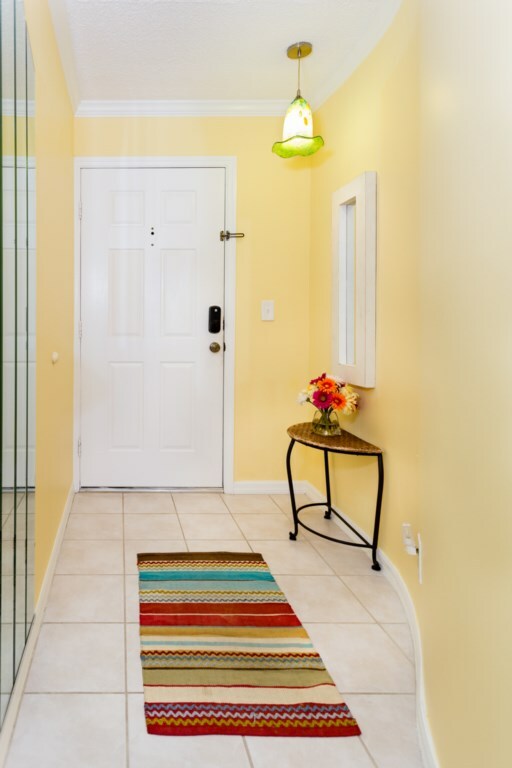 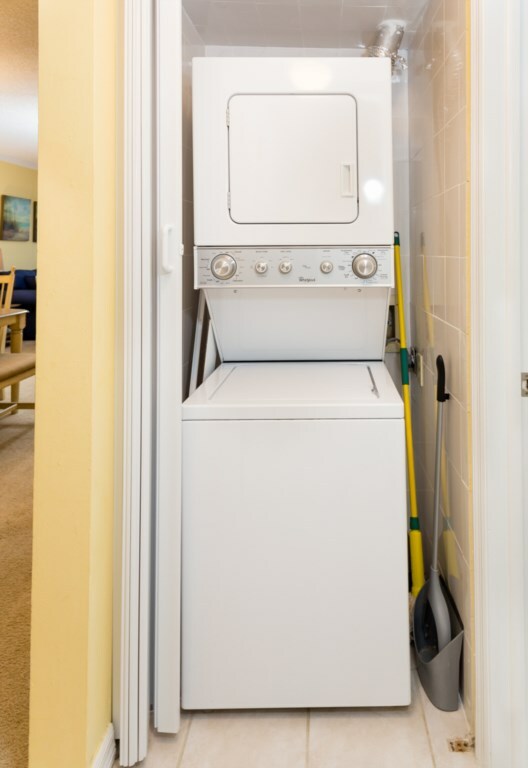 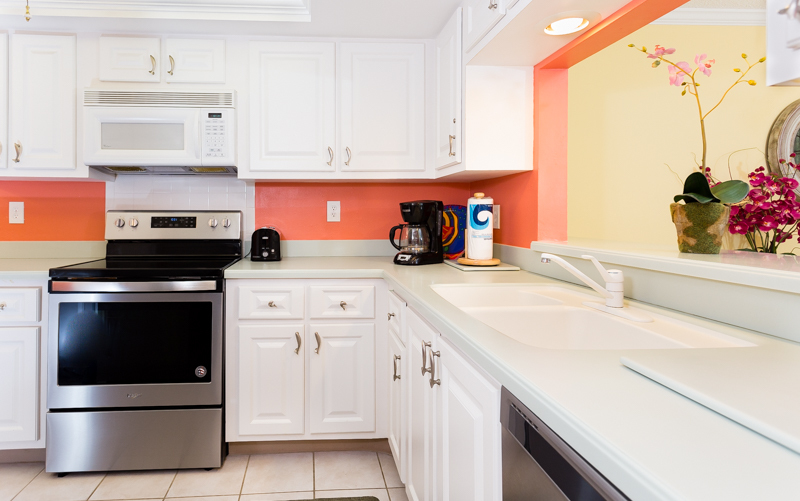 Walk into the large fully equipped; eat in kitchen with stainless steel appliances. 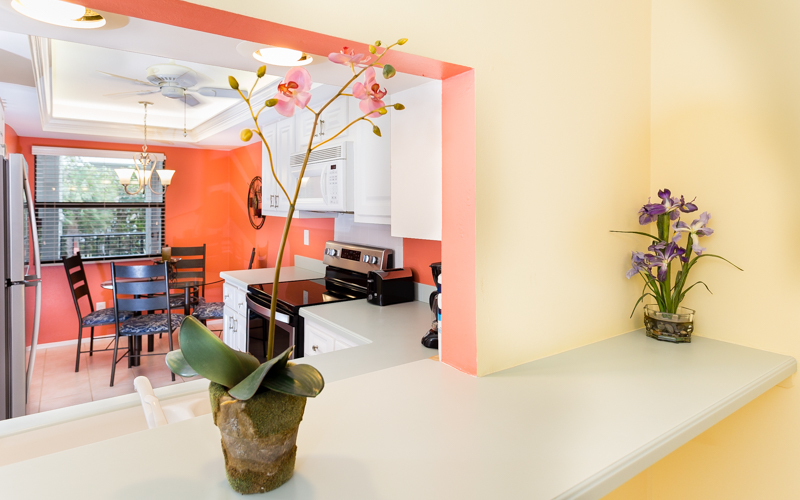 Bright white cabinets, ample counter space and a small table make this kitchen perfect for creating amazing meals. 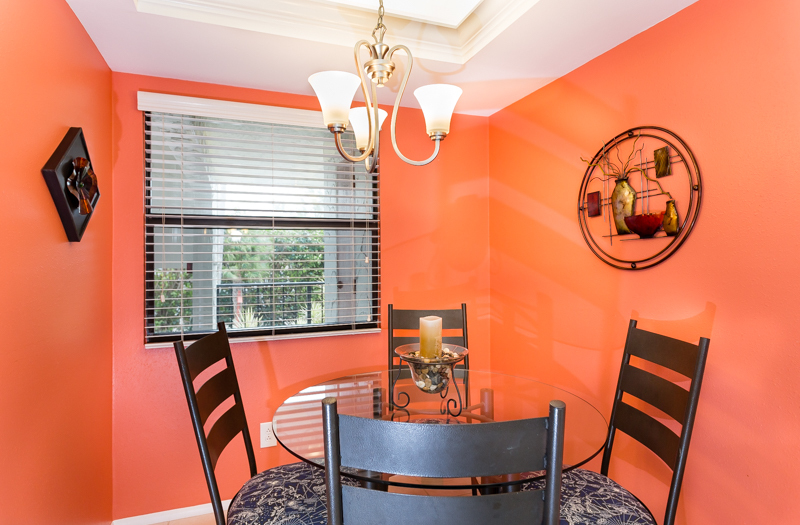 The open dining area with its coastal décor has seating for 6. 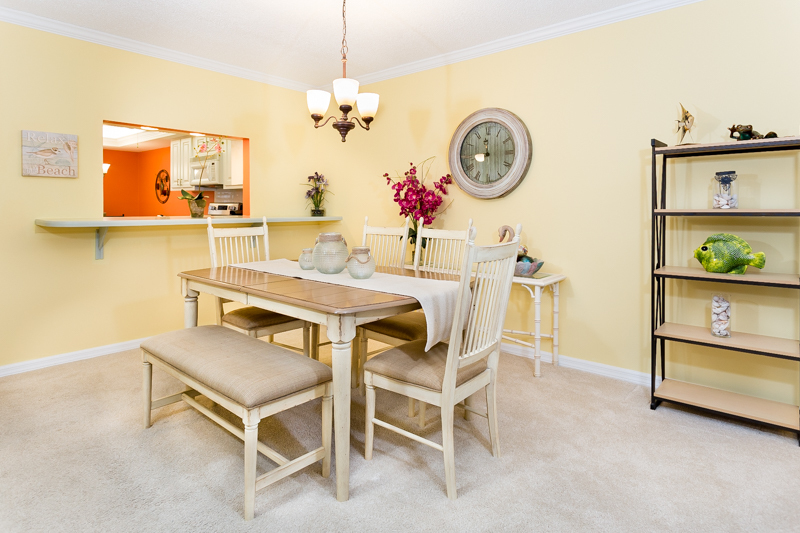 The dining room opens up to the relaxing living room with comfortable couch and two chairs. 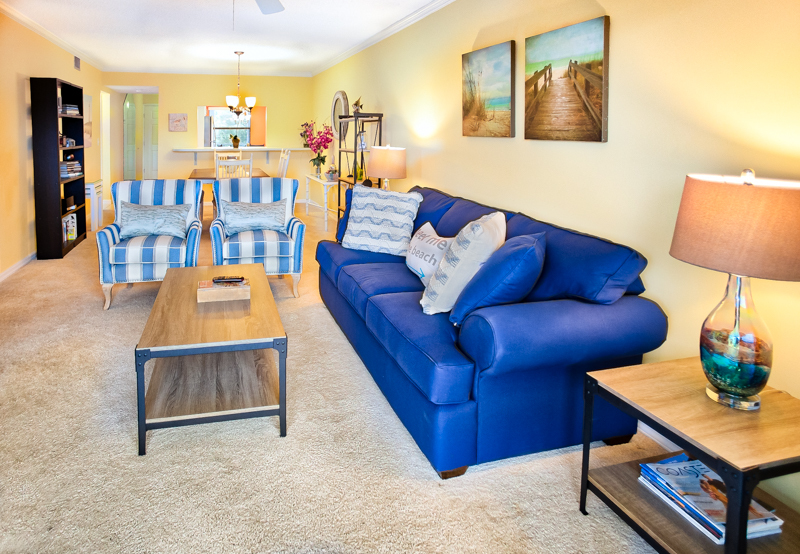 All set for you to relax and watch your favorite movie on the large flat screen TV. 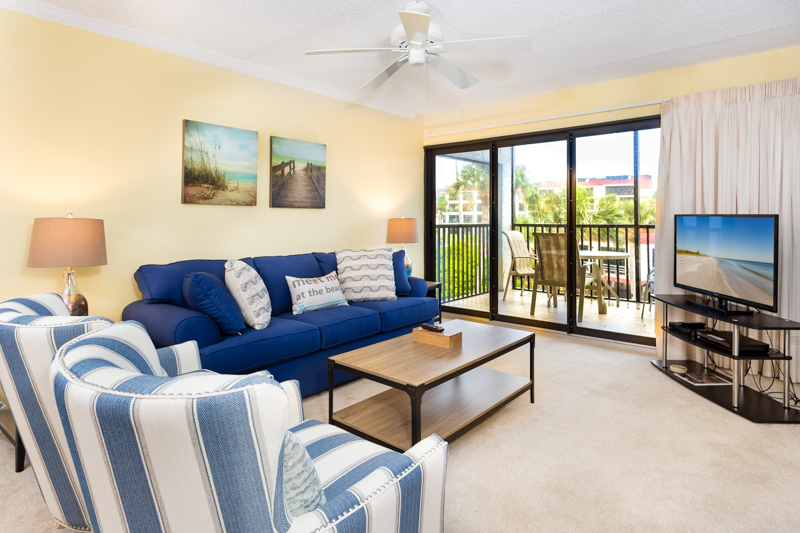 Sliding glass doors open to the spacious lanai with views of the Gulf of Mexico and the amazing tropical grounds. 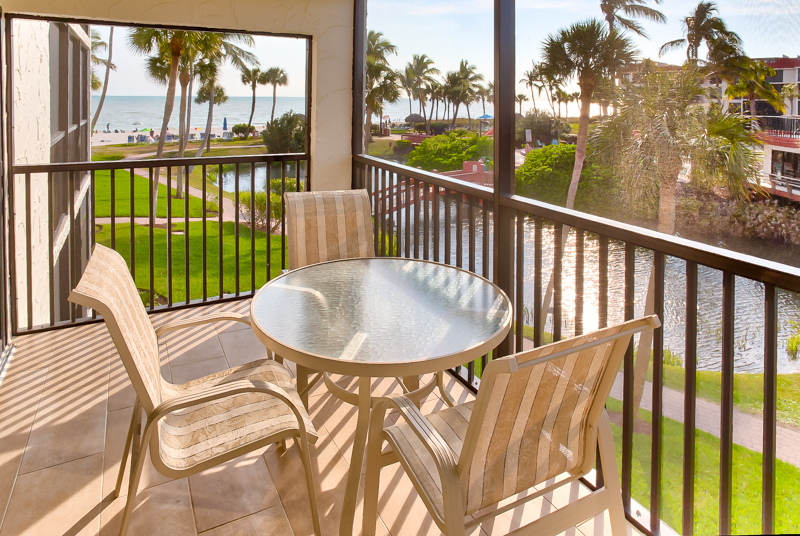 Dine alfresco while enjoying the ocean breeze and views on the screened lanai. 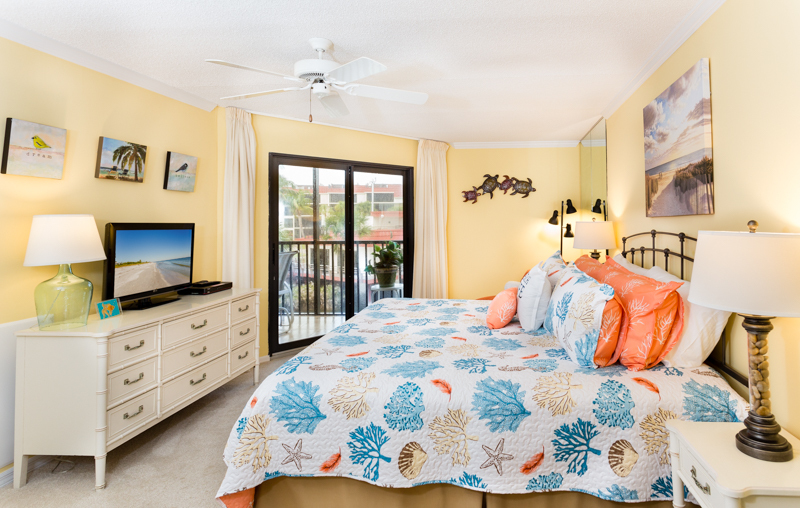 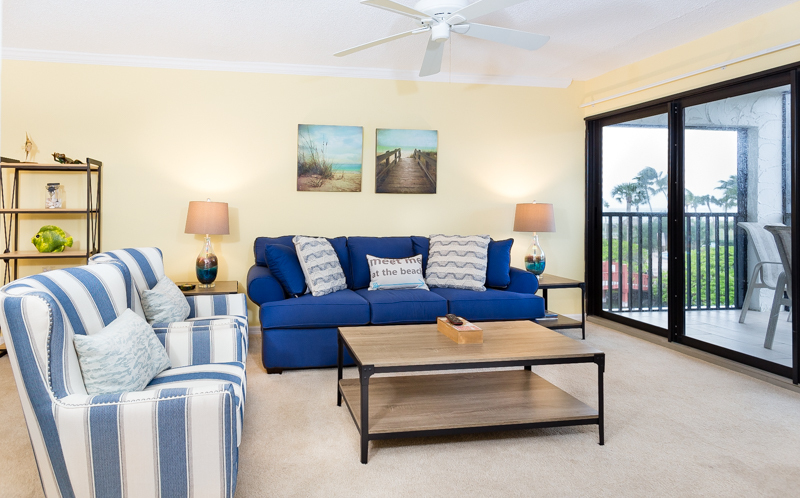 The master suite has a comfortable king bed, large flat screen TV and sliding glass doors to the lanai. 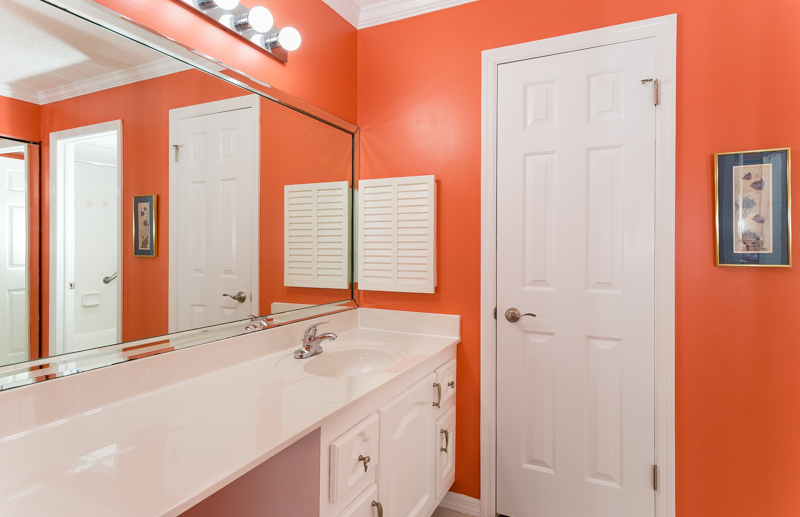 The master bathroom features large closet, ample counter space and shower. 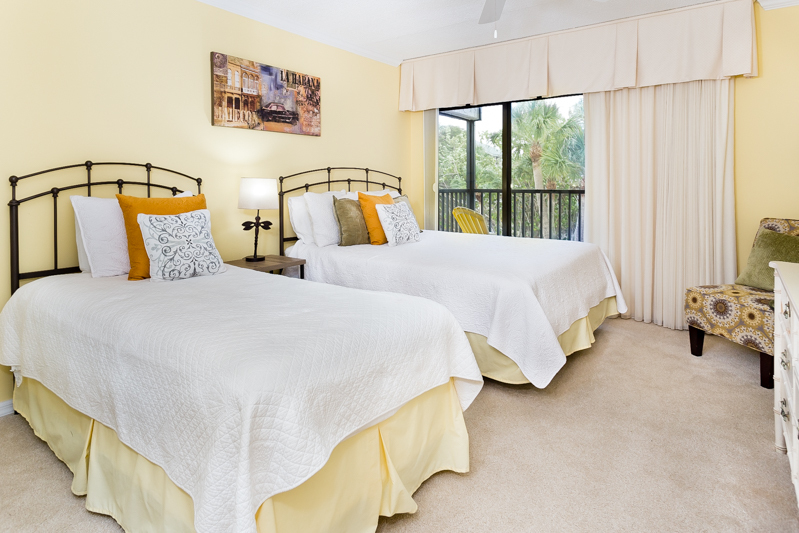 Your guests or family will be very comfortable in the large guest room with double bed and twin bed. 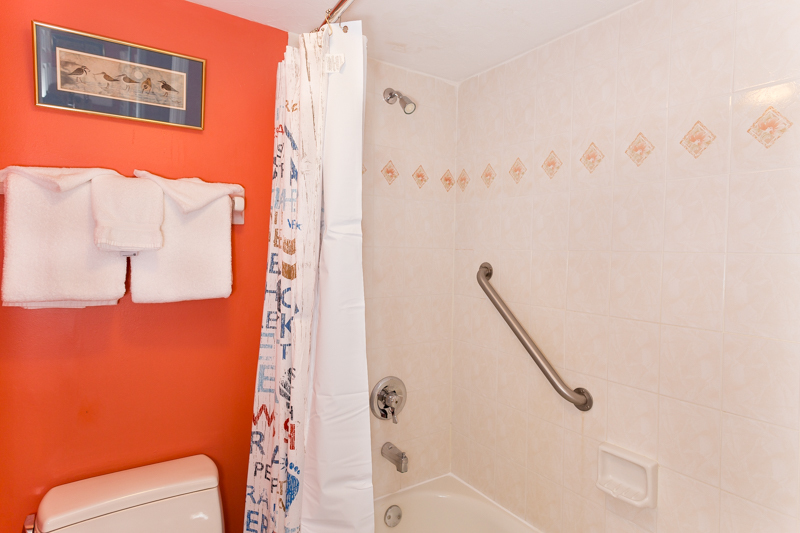 The guest bathroom features a large vanity and a shower/tub combo. 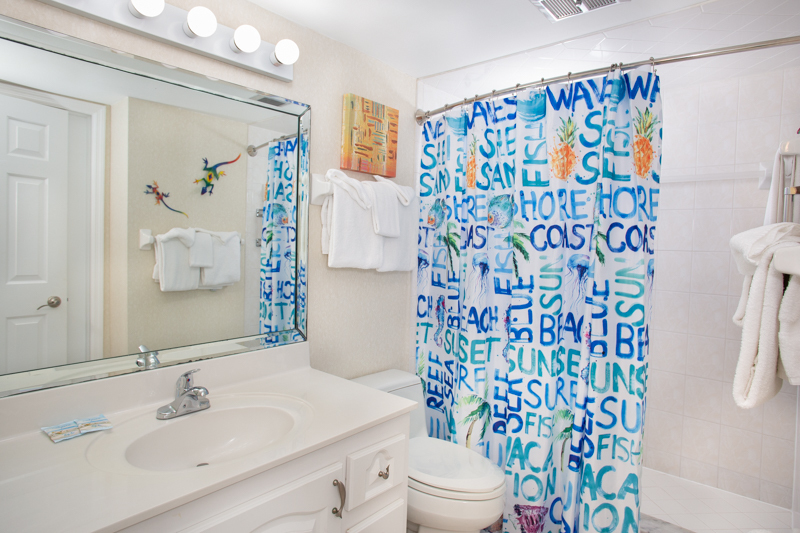 Everything you need for the perfect vacation. 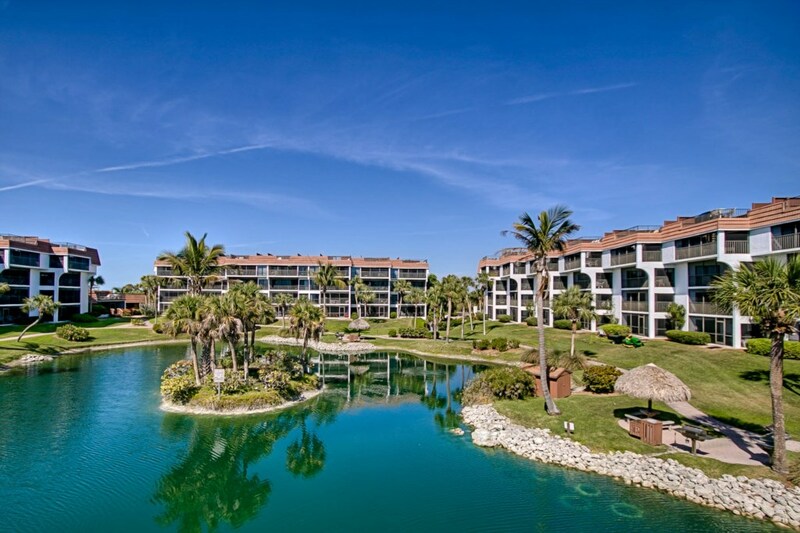 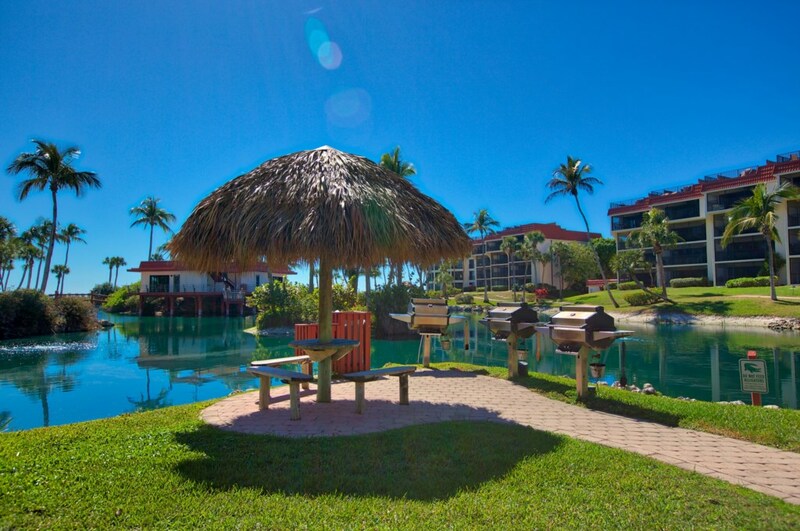 Pointe Santo is a beach/Gulf front condo complex with spacious tropical grounds including bridges and lagoons. 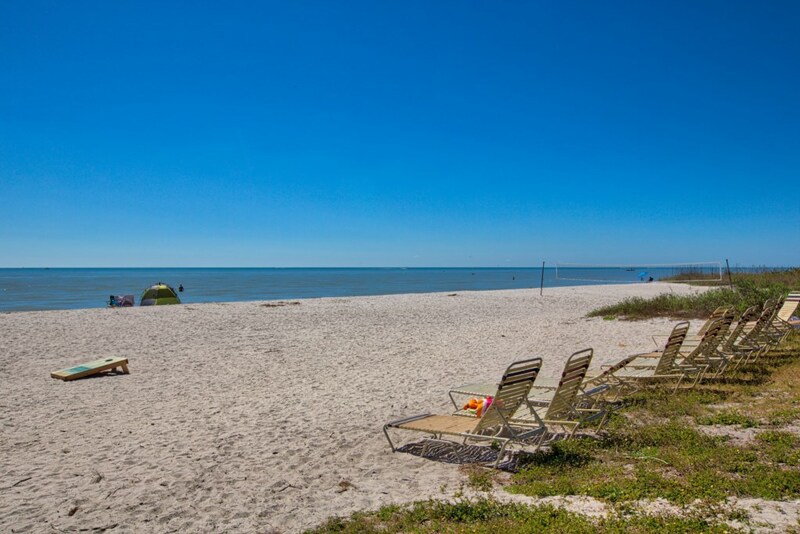 Located on West Gulf, enjoy the white sandy beach, sunsets and great shelling. 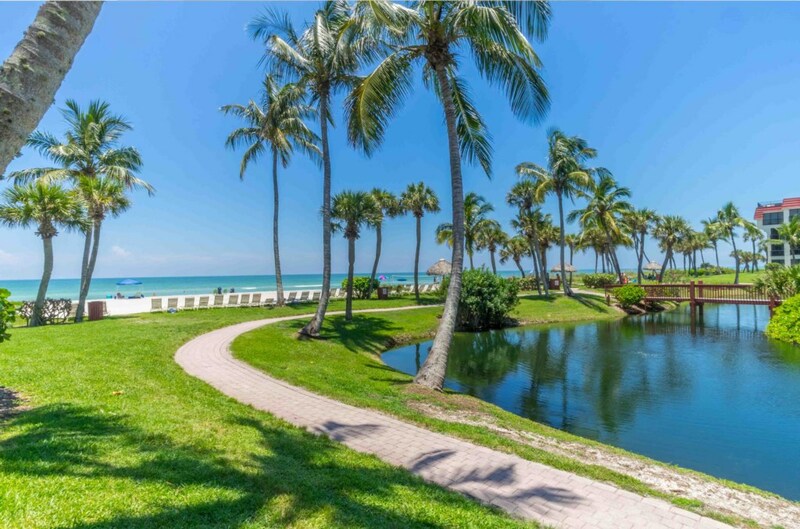 Rent a bicycle and cross the street to take the bike path all over the island. 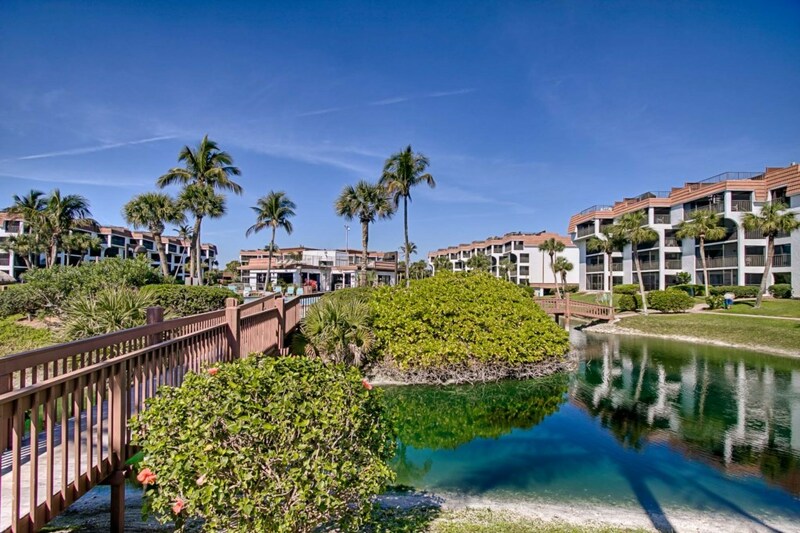 Central to shopping, restaurants, wildlife preserves and Bailey’s grocery store. 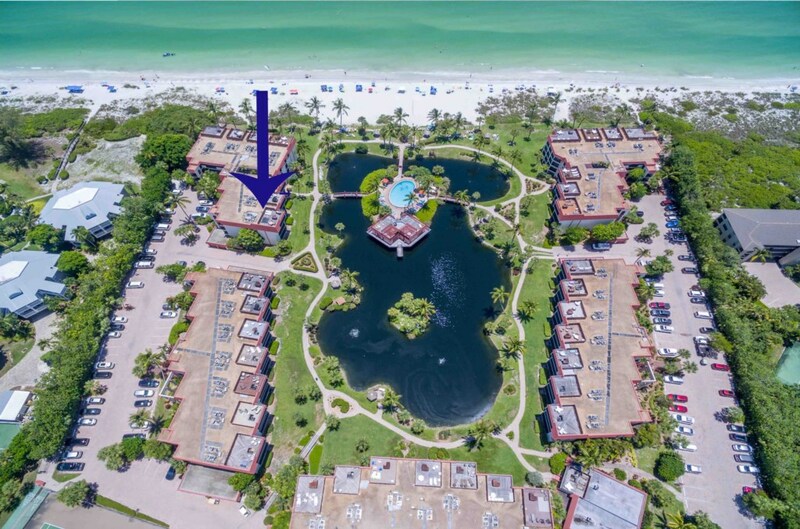 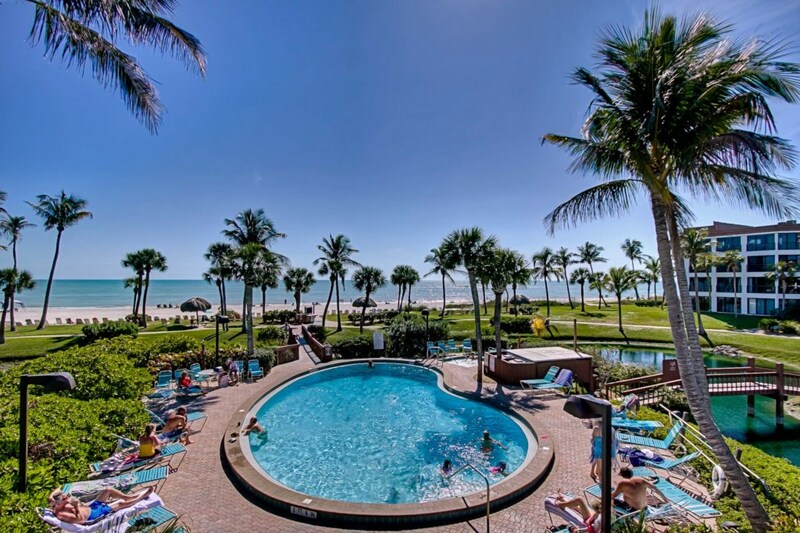 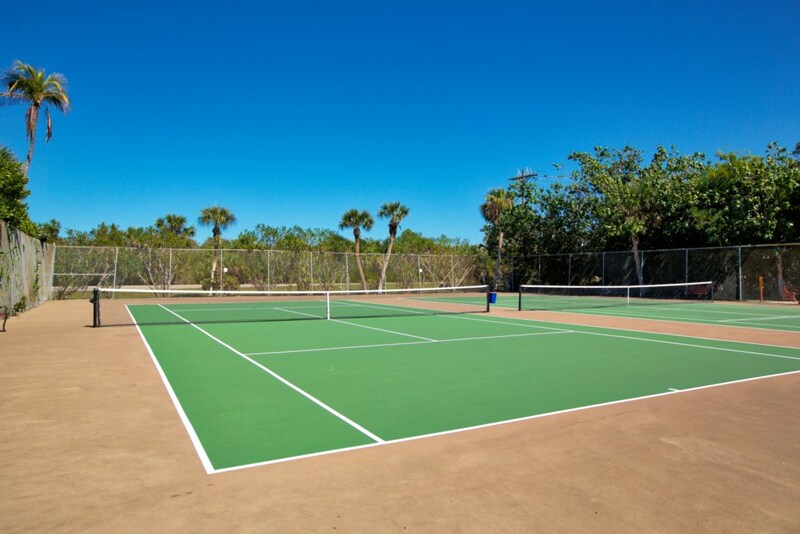 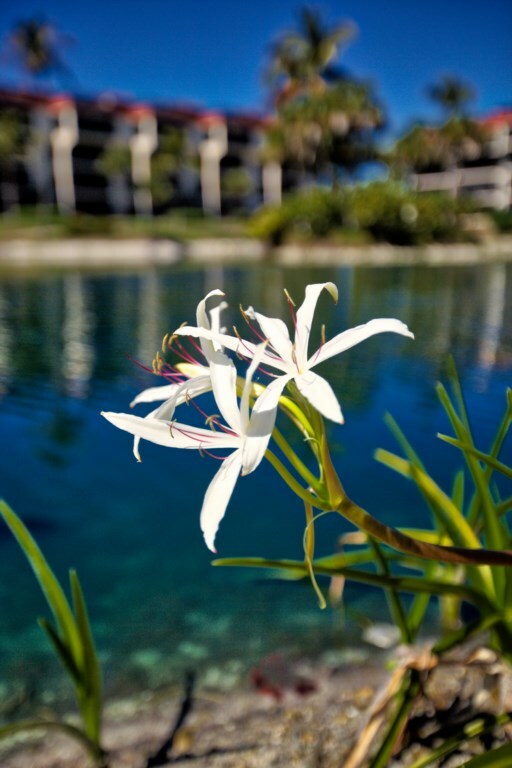 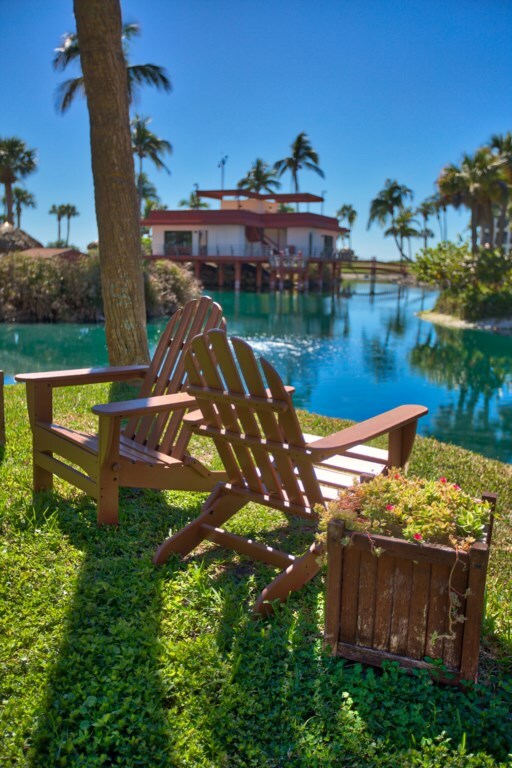 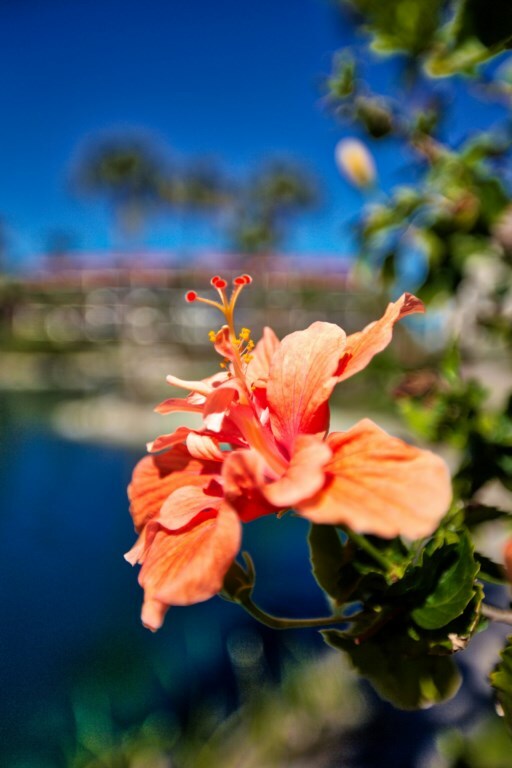 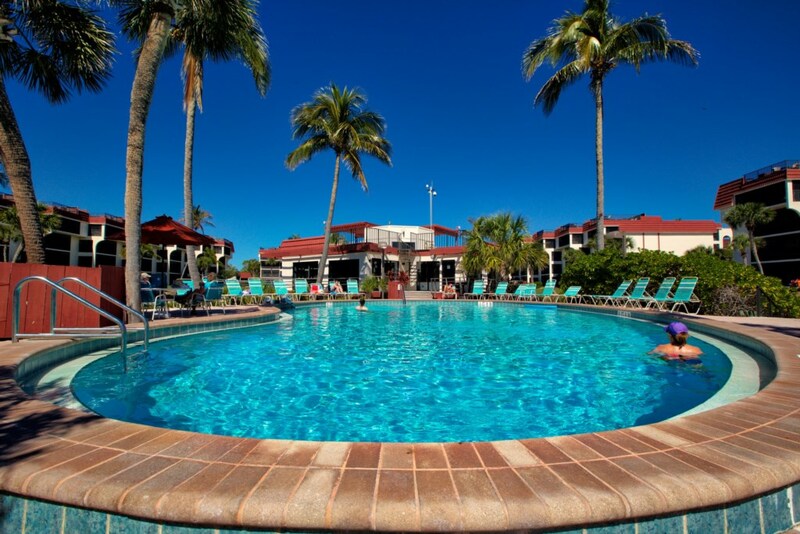 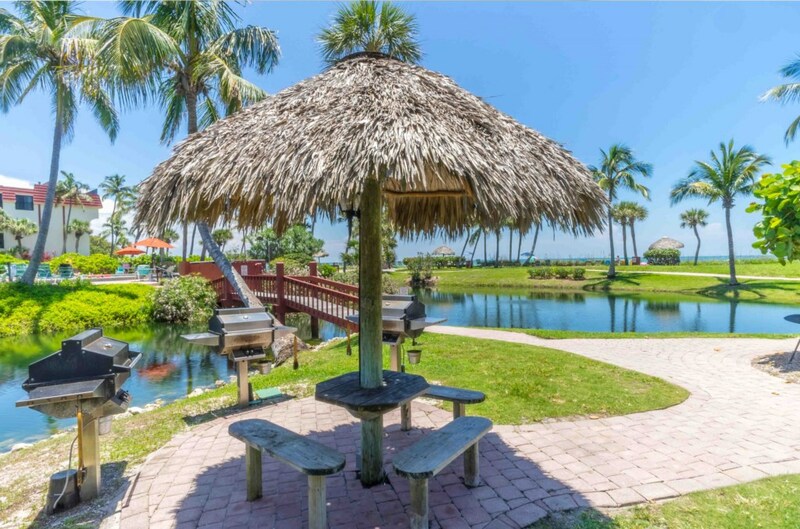 The perfect spot to enjoy all Sanibel and Captiva Island offers.